Krung Sri Ayutthaya, as its officially called, was declared a historical park in 1976 by the Fine Arts Department and designated a UNESCO World Heritage site in 1991. The historical city, located in an island created by the Chao Phraya and Pasak Rivers, is very popular with tourists. But there are several historical treasures outside the old city walls, particularly to the south that are just as interesting and not frequented by many visitors. These are the legacies of the foreign communities who settled in Ayutthaya when the city was at the peak of its commercial and diplomatic influence. Join us as we explore these historical treasures. Ayutthaya was founded by King U-Thong on Friday 4 March 1351 on the sixth day of the waxing moon in the 5th Lunar month in the Year of the Tiger. The city flourished in trade between India, the Middle East, North Africa and later Europe to west, South-East Asia to the south and China and Japan to the east. Diplomatic relations were also established with many of the European nations. Ironically peace with her neighbour Burma could not be achieved and constant wars were fought. The Burmese first captured Ayutthaya in 1569 and made it a vassal until 1590. When King Naresuan became king in 1590, he shook off the Burmese yoke after which Ayutthaya prospered again with the entry of more European traders. Unfortunately, another offensive by the Burmese in 1767 captured Ayutthaya again. This time the city was sacked, putting an abrupt end to a dynasty of 35 kings. In the process many of the foreign settlements were also destroyed. Ayutthaya as a major trading centre in the region attracted traders from all over Asia and later Europe. The missionaries and mercenaries soon followed. Others were refugees fleeing persecution in their countries, conscripted labour or prisoners-of-war. There was a wide variety of people; Arabs from the Middle East, Muslims Chams from Cambodia, Tamils from southern India, Makassarese from present day South Sulawesi (former Celebes) in Indonesia, Moors from North Africa and Persians. 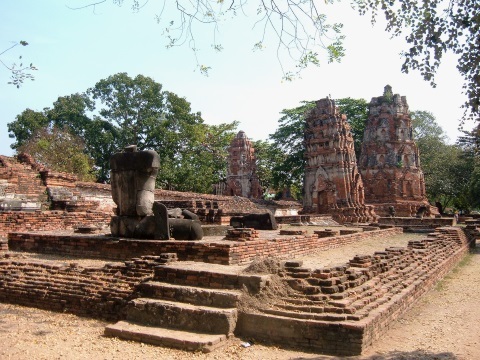 Descendants of some of these communities are still present in modern Ayutthaya and Thailand, of others only ruins remain and in some cases museums to preserve their heritage. Others however have left little trace. Foreign residents were only allowed outside the city walls and these were mostly to the south. 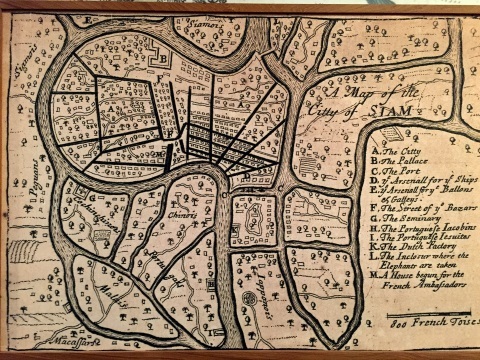 From the two maps below, the old city is located in the oval-shaped island created by the Chao Phraya and Pasak Rivers. The foreign settlements were located on both banks of the Chao Phraya as it flowed south of the old city. Here are two maps; the first Portuguese and the second Dutch showing the foreign settlements. In the first map by the Portuguese, the Chinese were on the east bank with the Portuguese and Malays on the west. Later the Dutch map showed the Dutch and Japanese on the east bank, the Chinese on the west with the Portuguese and Malays shifted further south along the west bank. The Chinese were present in old Siam since the days of Sukhothai in the 13th C. According to Royal Chronicles of Ayutthaya, Wat Phanan Choeng, a Chinese temple was built in 1324, 26 years before the founding of Ayutthaya. 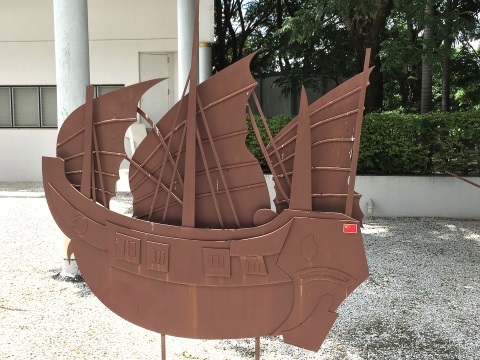 It is believed that the Chinese fleet under Admiral Zheng He (Cheng Ho) visited Ayutthaya in the early 14th C. Many Chinese trading ships called on Ayutthaya and many of the visitors settled there. 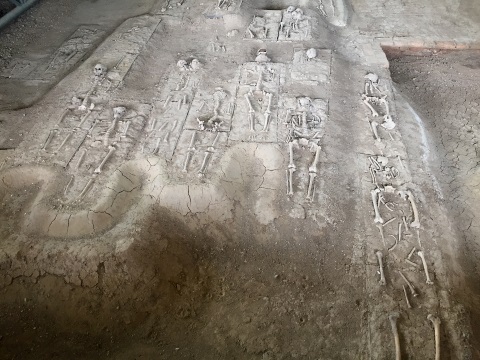 The remains of the early Chinese settlers are in the cemeteries near Wat Phanan Choeng. 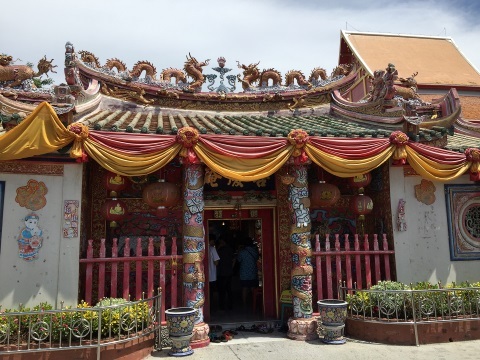 The temple has a distinct Chinese character complete with a Chinese shrine which according to legend was built in memory of a Chinese princess who committed suicide here because she was rejected by the king. 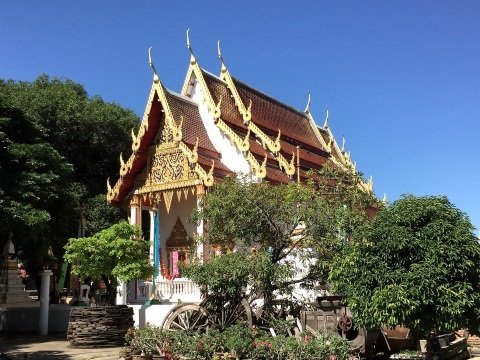 The shrine built in her memory has many worshippers to this day as there is a large ethnic Chinese community in Ayutthaya. The Malays of Malacca were trading with Ayutthaya since late-1300s well before the arrival of the Portuguese. Later in the 1500s, trade was also conducted with Malays from Aceh, Batam and Patani. 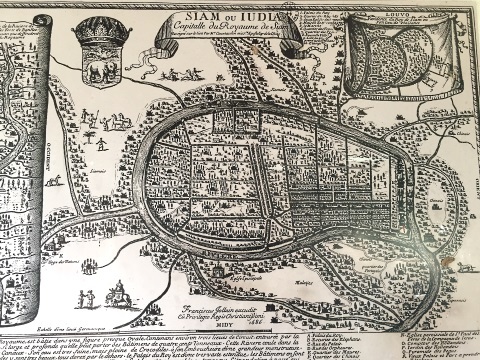 Many of these traders settled in Ayutthaya, as the Portuguese and Dutch maps indicate, south of the old city on the west bank of the Chao Phraya. Nakhon Si Thammarat was a province of Ayutthaya since the mid-1500s and had to supply labour to Ayutthaya for the frequent wars with Burma. Some of these conscripted labour probably settled in Ayutthaya as well. When Nakhon Si Thammarat rebelled in the mid-1600s, Japanese mercenaries were send to quell these rebellions. So in addition to conscripted labour, prisoners-of-war became another source of Malay immigrants to Ayutthaya. 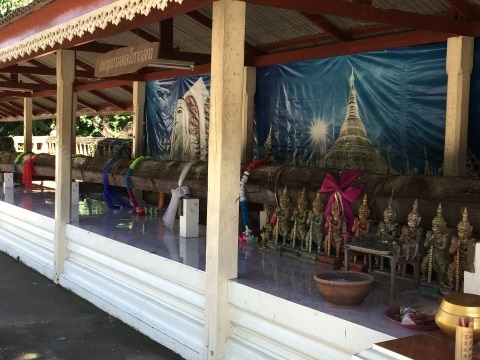 Today the descendants of the early Malays live in communities on the west bank of the Chao Phraya south of the old Portuguese settlement and calls to prayers can be heard coming from the minarets in the area. The Mon (or Raman) came from a kingdom in Central Burma and have been migrating to the Chao Phraya basin as early as the 6th C. Over the years there were constant wars with the Burmese king and when their kingdom was finally overrun in the mid-1700s, there was a mass migration to Siam. Many served with the Siamese army in the Burmese-Siamese wars and in recognition of their military service they were given land grants. Today there are many Mon communities in Ayutthaya, Bangkok, Kanchanaburi, Lopburi and Samut Prakarn. I managed to locate a Mon temple, Wat Thong Boh along Highway 3477, the road leading south from Ayutthaya to Bang Pa-in. The Mon here live in a community called Ban Sao Kradong. The place got its name from a sailing ship that capsized in Chao Phraya during the Ayutthaya era and the one of the masts (sao) floated ashore to the village. That mast is still on display in the temple. 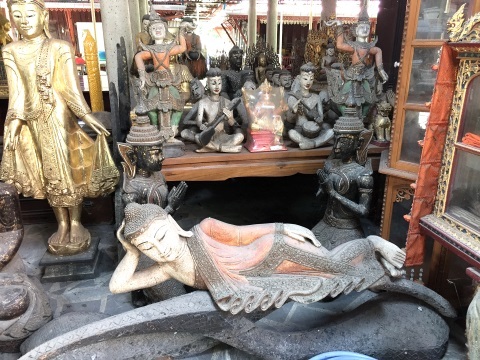 Wat Thong Boh has a museum preserving some old Buddha statues and scripture cupboards. The Portuguese were the first Europeans to arrive in old Siam. They came in 1511 shortly after they captured Malacca to assure the King of Ayutthaya that they had no further thoughts of conquests. After visits by two more Portuguese envoys, a treaty was signed in 1516 for the Portuguese to supply muskets, cannon and gunpowder to Ayutthaya. Along with firearms came the soldiers to train the Siamese. The Portuguese were the biggest group of mercenaries in service of the King of Ayutthaya, followed by the Japanese. The Portuguese performed well in campaigns against the Burmese and were rewarded with commercial and residential rights. 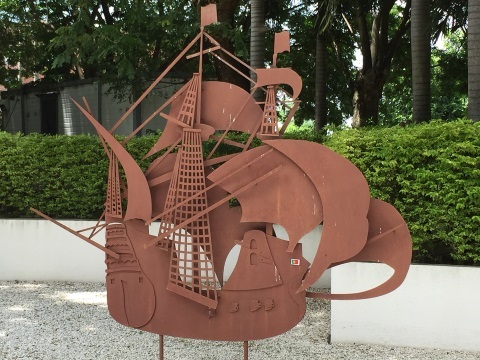 A plot of land south of the old city on the west bank of the Chao Phraya was granted to the Portuguese as their official residence and from here grew the Portuguese settlement and trading post. In the spirit of religious tolerance, Portuguese missionaries followed in the wake of the mercenaries and traders. The Dominicans came first followed by the Franciscans and later the Jesuits. Today all that’s left of the Portuguese settlement are the ruins of the Dominican Church of San Pedro. Like the ruins of the Dutch trading post, only the floor and half a metre of the walls were left. There’s a second building that appears to be a church located between the San Pedro ruins and the river. Here visitors could be in for a surprise. This is not a church but the preserved cemetery of the San Pedro Church and there are more than 200 skeletons and remains of the people buried here. 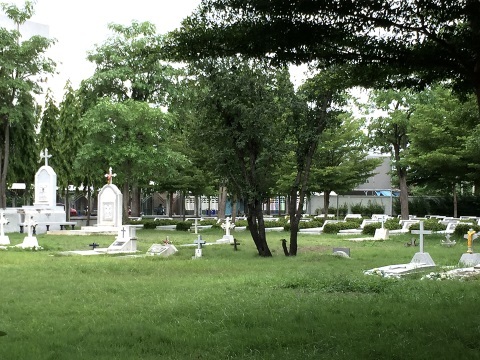 This cemetery was discovered by accident during the excavation and restoration work on San Pedro Church by the Fine Arts Department Thailand and the Calouste Gulbenkian Foundation of Portugal and the Portuguese Embassy between 1984 – 1995. The arrival of the Portuguese brought about the use of the term “farang” for Westerners. The term is mostly likely of Arab origin. In the First Crusades (1096 -1099) most of the Crusaders were Franks from Gaul in modern France. They sacked Jerusalem and put everyone to the sword. The Arabs called the Franks “al firinjah”. In the later Crusades, the other Europeans were called “ifarangi”. This term was also adopted to Hindi (feranghi), Persian (ferangi) and Tamil (ferengi). The Arabs, Indians and Persians were already present in Ayutthaya when the Portuguese arrived and the Thai term “farang” was probably adopted from these terms. 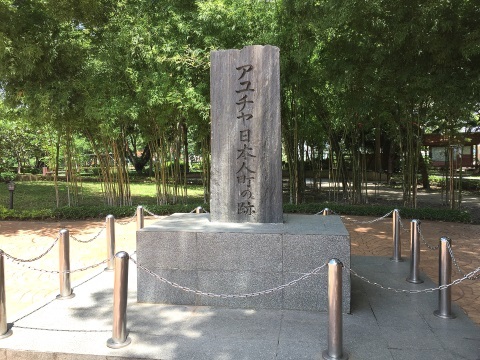 The Memorial Site and museum marks the location of the Japanese Village or the old Japanese Settlement in Ayutthaya in Koh Rian on the east bank of the Chao Phraya River just south of the old city walls. Though called a “village”, visitors might mistake the grand entrance for that of a luxurious housing complex. The Japanese arrived in Ayutthaya around 1534 and came as traders, mercenaries who served as soldiers in the service of the King of Ayutthaya and Japanese Christians fleeing religious persecution in Japan. 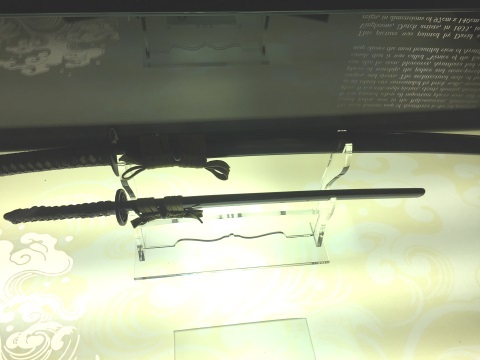 Initially trading between the Ryukyu Kingdom (modern day Okinawa) represented Japan in trade with Siam. When peace was restored after the first fall of Ayutthaya in 1569, Japan traded directly with Ayutthaya and their trading ships made frequent calls to the old city. Interestingly the mercenaries were Ronin or Samurais who have lost their masters and they served as royal bodyguards and soldiers in the Siamese army. Unfortunately, in 1630 the Japanese community fell out of favour with King Prasat Thong and had to leave Ayutthaya in a hurry. 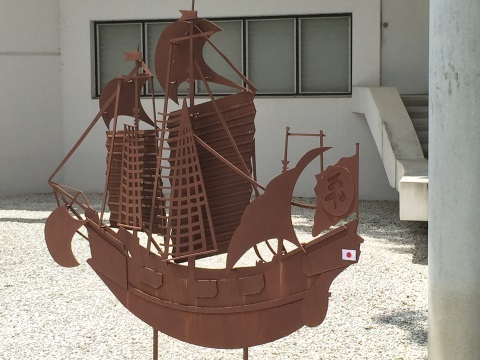 The museum and memorial in the Japanese Village was established by the Thai-Japanese Association to preserve the memory of the old Japanese settlement for posterity and to serve as a symbol of friendship between the two nations. 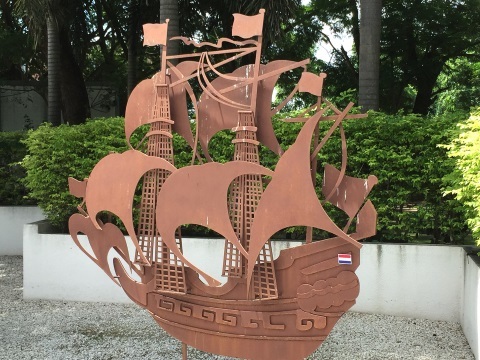 The Dutch presence in old Ayutthaya is preserved at the site of Baan Hollanda located near the ruins of the old Dutch United East India Trading Company (VOC) trading post. The Dutch arrived in Ayutthaya in 1604 and constructed a trading post by the Chao Phraya on a land grant from King Prasat Thong in 1634. 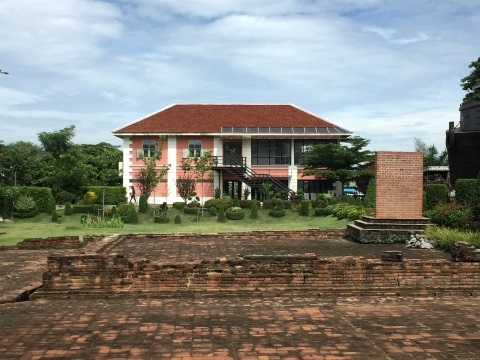 They continued trading in Ayutthaya until 1765 and left just before the destruction of the city by the Burmese during which the VOC trading post was razed to the ground. The ruins of the VOC trading post were excavated in 2004 by the Fine Arts Department. 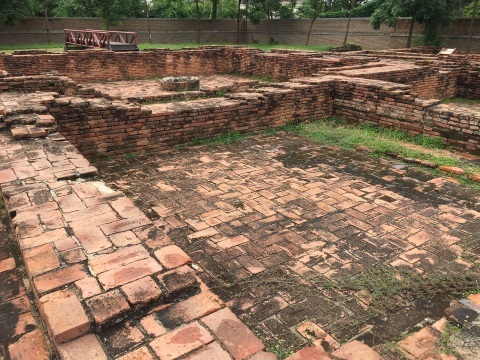 In the same year, Baan Hollanda was constructed near these ruins to serve as an information centre and museum to preserve the history of the Dutch in old Siam and the relations between the nations over the last 400 years. Baan Hollanda was established with funds donated by HM Queen Beatrix of Netherlands and the Netherlands government. Hollanda is derived from the Portuguese term, “Holanda” for the Netherlands. During the old Ayutthaya period, the Siamese called the Netherlands and her people, “Wilanda” from the Malay word for Dutch, “Orang Belanda”. The British East India Company arrived in Ayutthaya in 1812 and was granted land for a trading post south of the Dutch settlement. However, with stiff competition from both Asian and European traders, the company did not do well and withdrew in 1884. I came across the British settlement marked in an Ayutthaya map but I’m unable to locate it on the ground. It was in the reign of King Narai (1656 – 1688) that diplomatic relations were established between Ayutthaya and French. After the initial letters from Pope Clement IX and King Louis XIV to King Narai in 1673, the French sent a small commercial mission to Ayutthaya in 1682. However, the French missionaries came much earlier in 1662 and were granted land and a sum of money to build a church. The first church was a wooden structure built in 1666. 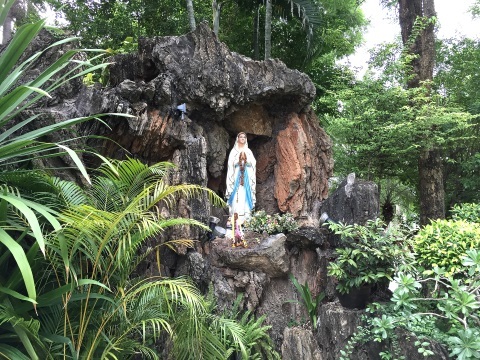 Named St Joseph Church, it became the first church of the French Catholic Mission in Siam. From 1685 to 1695, a brick building was erected in place of the wooden one. 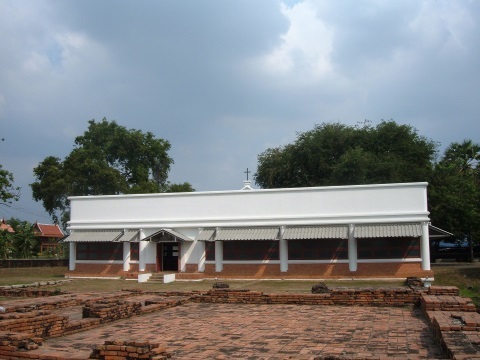 Unfortunately, when Ayutthaya was sacked by the Burmese in 1767, St Joseph Church was looted and burned down. It was only in 1847 that the church was rebuilt incorporating what remained of the front and side walls of the destroyed church. From 1883 – 1891, the St Joseph Church was rebuilt again based on the design by Italian architect Joachim Grassi. After a renovation in 2003/4, this grand building stands to this day with a congregation from the local community in Ayutthaya. 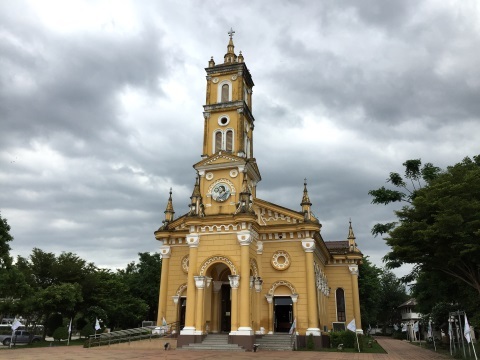 The early bishops and missionaries from the Mission of Siam who were responsible for establishing the first church and dedicated their lives in service of the church are buried in the Memorial Place in the cemetery of the church. 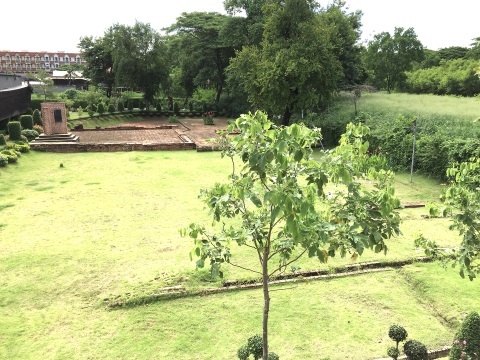 The legacies of the foreign settlements in old Ayutthaya, be they ruins, museums or active communities, add to the cultural and historical diversity of this city. Get off the beaten track and explore some of these places beyond the old city walls the next time you are in Ayutthaya. Leave Bangkok and head north along the Viphawadi-Rangit Road or the Don Muang Tollway. 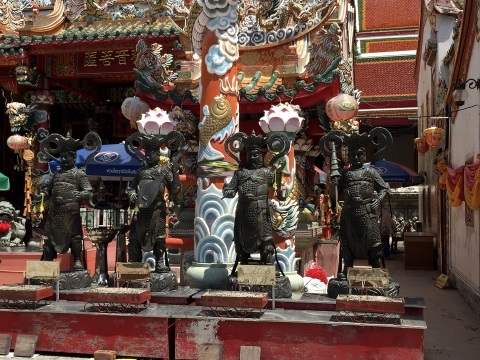 Continue on to the Asian Highway 1 – Highway 32 – Highway 309 – Highway 3477 – Wat Phanan Choeng Woravihan, the start of the tour circuit. (Please see Route A on the map). 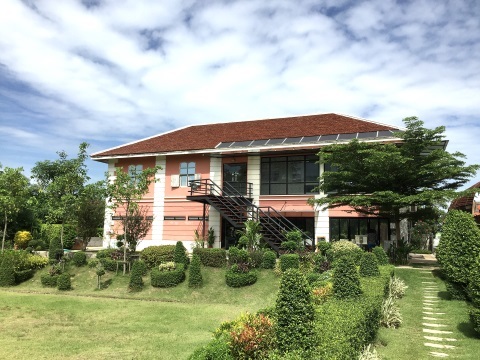 Alternatively, you can take the road leading to the Ayutthaya Provincial Office which leads all the way to the start point of the tour route, (please see Route B). This is actually a more direct route if you are confident of the way.